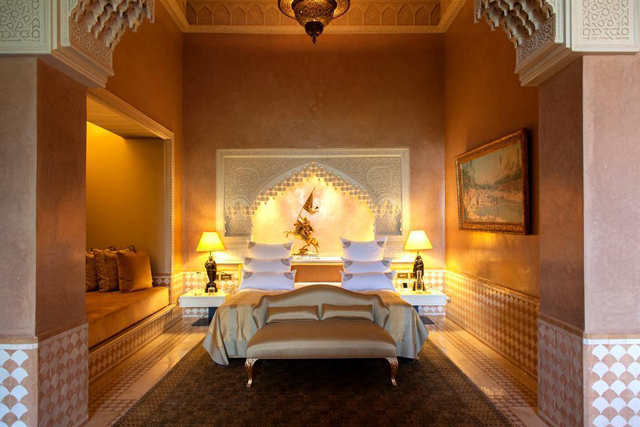 One of the largest and most exclusive estates in Morocco has come onto the market. Dar Olfa, one of the largest and most exclusive estates in Morocco, has now been unveiled to the market by Christie’s International Real Estate, the world’s leading luxury real estate network, in conjunction with affiliate Kensington Finest Properties. 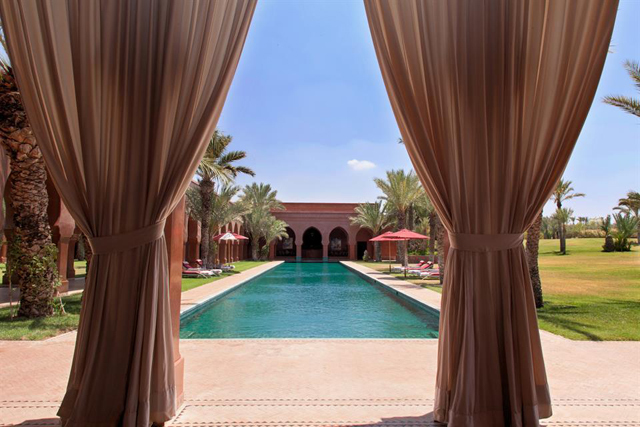 The magnificent property is situated in Marrakech, in almost 10 hectares of private land, and boasts more than 100,000 sq ft of living space and multiple swimming pools. The main six-bedroom house at Dar Olfa is beautifully and ornately furnished with large, interconnected rooms. There is a drawing room and dining room which seats more than 20 guests as well as a three-storey library, a home theatre and a private nightclub with its own separate entrance from the 15-car underground garage. Within the 10 hectares of private land, there is a selection of open lounge areas, an additional 85ft outdoor pool, a flood-lit tennis court, a fitness room and a fully equipped spa with hammam, sauna and an indoor swimming pool. Each bedroom suite has an individual private garden and the grounds spectacular featuring gardens, a private waterfall and a lake. Additionally, a self-contained guest villa has six more en suite bedrooms and an 85ft outdoor pool. The guide price is €65m. For further information, please contact Christie’s International Real Estate on 020 7389 2734.